Adam Sandler’s animated vampire film Hotel Transylvania is coming soon! The big day is January 29th and it will be available on both DVD and Blu-ray (of course). The movie will be sold in all kinds of format packages, including a Blu-ray + Blu-ray 3D + DVD version. There are also loads of bonus features, check them out below! 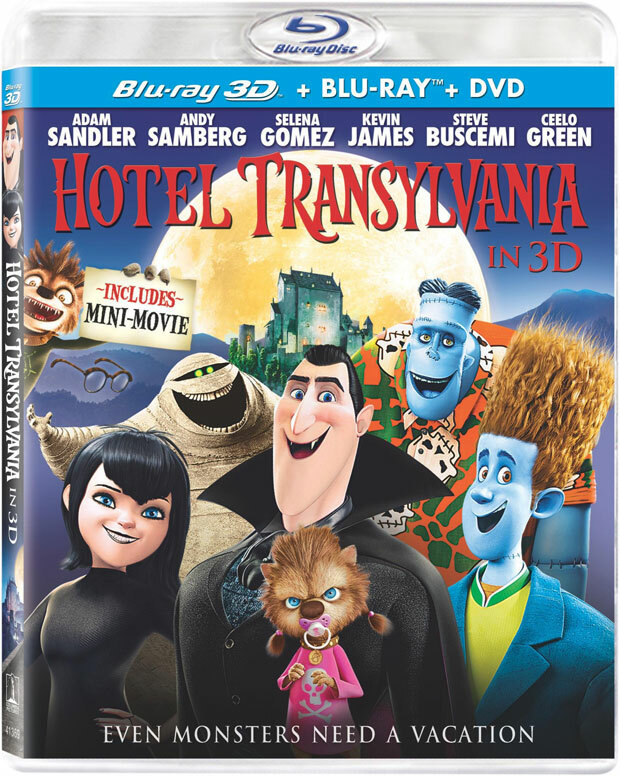 Hotel Transylvania was directed by Genndy Tartakovsky and featured a voice cast that includes Adam Sandler, Steve Buscemi, Kevin James, Cee Lo Green, Selena Gomez, Andy Samberg, and many more. Anyone planning on picking this one up? Have you already seen it? If so, what did you think?